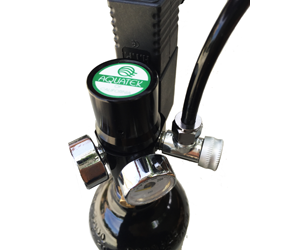 The compact space-saving design of Aquatek CO2 Regulator with Integrated Solenoid Valve for Paintball Tank is ideal for smaller set-up of CO2 systems. 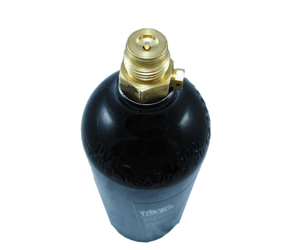 Eliminate the need to purchase paintball tank adaptor and unsightly industrial-size CO2 tank, this all-in-one unit is perfect for calcium reactor and freshwater plant CO2 injection applications. 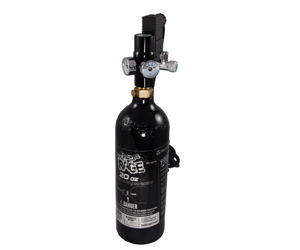 The Aquatek CO2 Regulator for Paintball Tank is equipped with dual gauges (psi & kg/cm); the left gauge measures tank capacity and the right gauge measures output working pressure. 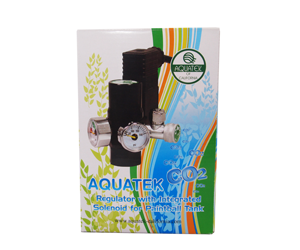 With its fine tuning capabilities and electronic regulation, this CO2 Regulator meets the highest industry quality standard. Top quality seller. Top quality regulator. Will buy from again! 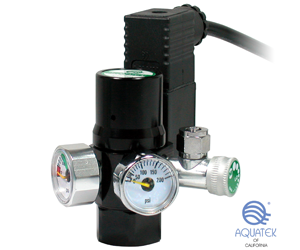 Cheap regulator with two gauges for this price (100usd) isnt that bad. Worked well for a month then over time I noticed the co2 output kept drifting form the set 1bps to either 4 bps to a bubble every 10 seconds. Ive had this regulator for 6 months now and thats caused my fish to nearly die multible times. The needle valve also isnt that good either. It can only be set to between 0-0.5 bps and 4 bps or higher. No in between no matter what i do. I think its time to change to a higher quality regulator. This product leaked from the adjusting knob the very first day I received it in the mail.You can hear the air escaping from the knob. No matter what i did to try to stop it.It still leaked.I give it one star because of the fast shipping. Super fast shipping. The regulator works great on my 20 gallon long. I like the company and since I was satisfied with this regulator I purchased the premium one for my other tanks. It arrived in 2 days. Great seller, fast delivery, perfect new condition. Couldn’t be happier! Worked pretty good until 5 months later. The solenoid broke and when I told the company that it broke they were very quick to respond. But my warranty was only 3 months so they just ignored me after I told them how long I had it for. I wish this company had a longer warranty. I would recommend this for a short term regulator. But if you want a long term one go with GLA. Very good quality, highly recommend!! Hello AquaTek...! I just wanted to say thank you! 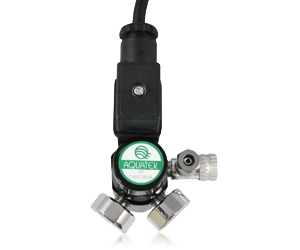 I received my aquatek regulator with integrated solenoid for paintball tank today. I have to say by far it is the best paintball regulator, compared to the ones I've used or have seen on the market. I love the solenoid addition to the paintball regulator very awesome ! Thank you for making a good quality product, some regulators out there are just too expensive and take up too much room this is nice and compact and affordable! 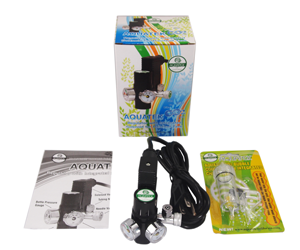 AquaTek was quick and responsive with my order which was awesome, and I love that AquaTek is located right here in the USA.